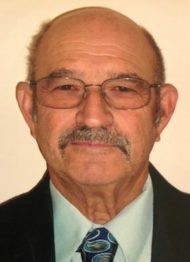 Ronald “Ron” Kline, 71, of Lititz, passed away peacefully at his home with his family by his side on March 17, 2019. Born at home in Manheim, he was the son of Paul B. Kline and the late Barbara M. (Ulrich) Kline and the loving husband of Florence “Flo” Kline. A graduate of Warwick High School, Class of 1966, Ron worked for the Manheim Auto Auction for 45 years, holding various positions during his employment. All his life, Ron has been a farmer. Farming and tractors were his true passion. He loved working in the fields, collecting tractors, big and small, and restoring the antique tractors. His tractor collection was his pride and joy. For 13 years, Ron and his father hosted a plow day for farmers and fellow tractor enthusiasts. They would gather to plow a field with their antique tractors and plows. They also hosted a tractor show on the family farm every Father’s Day weekend. Ron was involved in many organizations like the Brun-Lex Lions Club, ASCS Committee, Waterloo Boys Tractor Club, Lebanon Valley Tractor Club, IH Club, Friends of Massey, Rough and Tumble Engineers, Pennsylvania Farm Bureau, Manheim Young Farmers Club, and the Windsor Tractor Club. A typically quiet and reserved man, any conversation about farming or tractors could get him going in a long, in depth discussion. He loved sharing his vast knowledge with others who shared his interest. Ron deeply loved and cared for his family. He was a great father and leader to who his family looked up to and respected. Ron enjoyed taking his family on trips to the mountains and cherished the time they spent together. His family will always remember his strength in times of adversity, his hardworking nature, and his dedication to the things he was passionate about. Ron is survived by his beloved wife of almost 43 years, Flo Kline, his father Paul Kline, his three sons; Craig A. Kline and wife Kelly, Eric P. Kline and fiancé Dianne Moore, and Wesley L. Kline and wife Angela. He is also survived by his six grandchildren; Jaden, Alex, Jonathan, Dane, Daytona, Danel, his two great-grandchildren, Taylin and Emmett, his siblings; Nancy Hall and husband Wade, Carol Weaver and husband Kenneth, and Jeff Kline and his wife Alvina, and many dear nieces and nephews. He is preceded in death by his mother, Mae Kline. The family would like to extend their sincere thanks to all their loving family, neighbors, and friends for their help during Ron’s journey. A Memorial Service will be held Saturday, March 23, 2019 at 10:30am at Donegal Presbyterian Church at 1891 Donegal Springs Rd, Mount Joy, PA 17552 with Pastor Matthew Randolph officiating. Guests will be received prior to the service starting at 9:00am. Burial will be private. In lieu of flowers, donations in Ron’s memory can be made to Lancaster Cancer Center at 1858 Charter Ln, Suite 202, Lancaster, PA 17601 or Hospice and Community Care at 685 Good Dr., Lancaster, PA 17604. So sorry to hear about this. I had the good fortune of working with Ronald to make some photographs of he and his machinery. He’s clearly a good man, and his obit reflects that. Godspeed to a good man, and my best to the family. Flo, we’ve been out of touch for years, but I recognized your husband’s name in the paper. What a beautifully written, loving obituary. My heart is with you and your family. Kline family,,, We ae so sorry to hear of Ron,s passing. prayers of comfort for you all. Dear Florence, Joe and I are so sorry to hear of Ron’s passing. He was a great person, family man and employee of the auction. We only have fond memories of Ron and of you. You and your family are in our prayers. Flo and family. During my 14 years working at MAA, I never met a nicer, man than Ron. He was always soft spoken and calm when things got hectic. My sympathies for you loss. I am so sorry for your loss. I remember the farm visit we had when I work for PA Farm Bureau. I also enjoyed coming to the farm for the tractor show and seeing you and Ron, working side by side. Eventho it has been 7 years since I was at Farm Bureau, I still remember and cherish our quarterly visits and time together. Eventho, we are hurting hurt, you can know Ron is with his love ones and not in anymore discomfort. We were so sorry to hear of Ron’s passing. Our thoughts and prayers are with you during this difficult time. We are sorry we will not be able to attend the service as we are out of town. May your fond memories bring you peace and comfort in the days ahead. Sorry for your loss. It is a great help to the family to Cherish all the wonderful memories of happy times through the years. May our Lord give you comfort as you grieve. Our Prayers are with you at this time. Peace,Love,Blessings and Prayers from the Kline/Wolfe Family…..